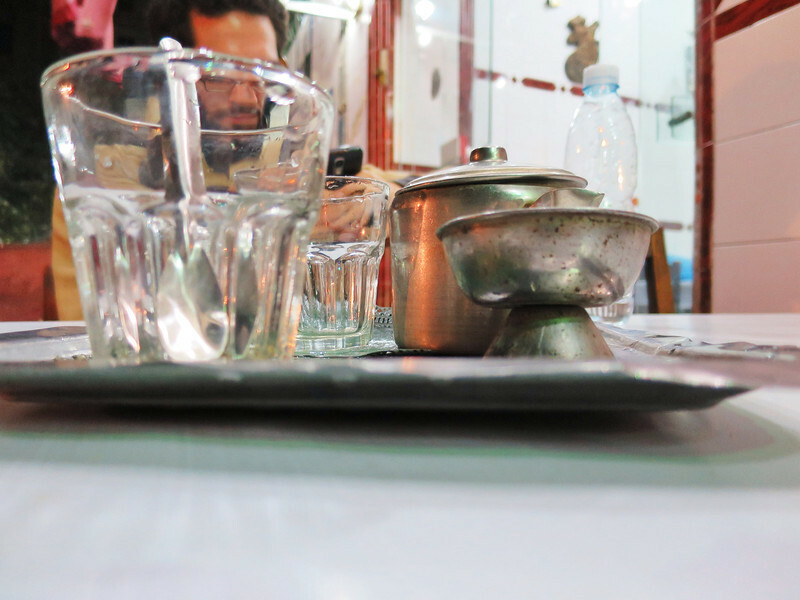 When in Alexandria, the thing to do is to eat fish – fresh and delicious fish. Options run the gamut from alleyside fish fries to swish harborside eateries. The fish is excellent at either sort of place – your choice really comes down to the ambiance you’re after. 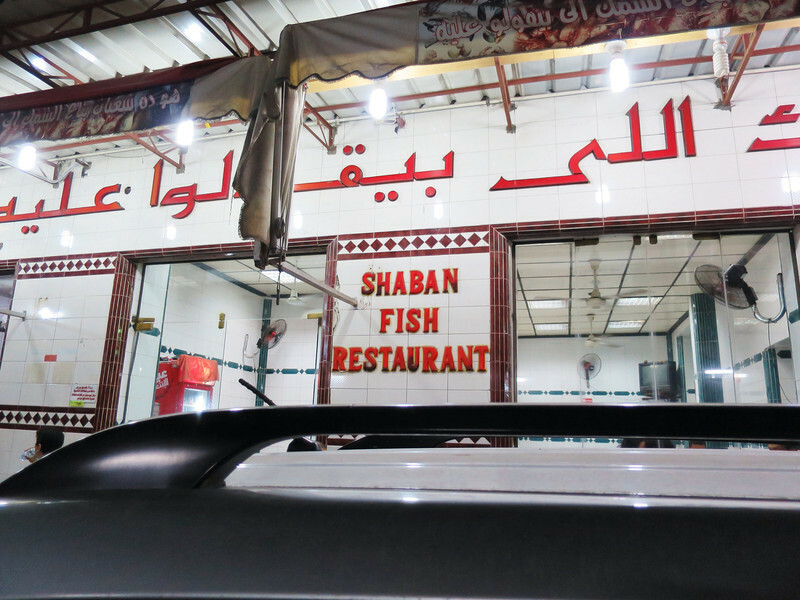 If you’re looking to avoid the expat crowd and don’t feel up to evening swank, Shaban Fish Restaurant is the way to go. Once you’ve passed by the fish counter and picked out what you want to eat, grab a table outside and enjoy the urban tableau that awaits you. It’s a view that never gets boring. Fish will come served up perfectly with plenty of salads and that amazing bread that is nowhere to be found in Cairo but readily available in Alex. 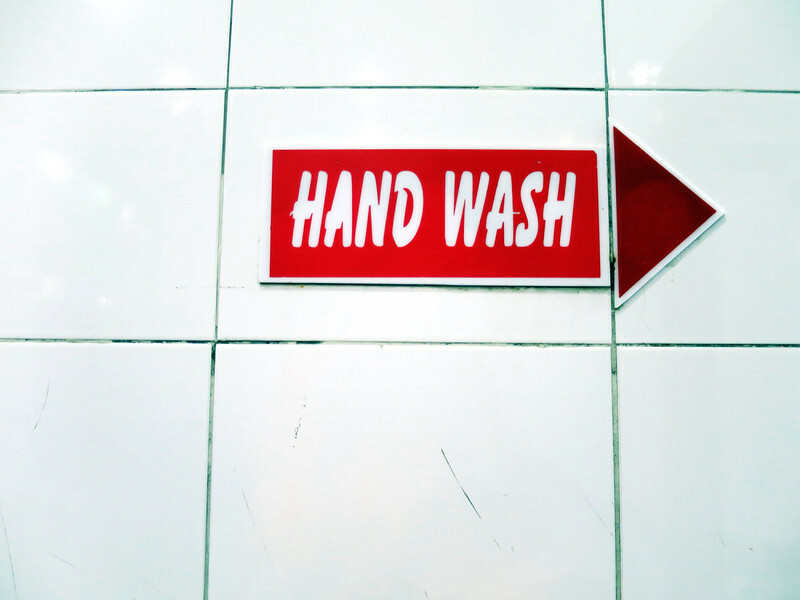 And afterwards there’s no nonsense and no question about where to wash off your hands. Pro tip: squeeze a bit of extra lemon juice over your fingers first to get rid of the fish smells. It’s possible the bill will take forever to come, but while you wait you can always sip on some hot tea as a digestif. And it’s best to take a walk afterwards to help start digestion. 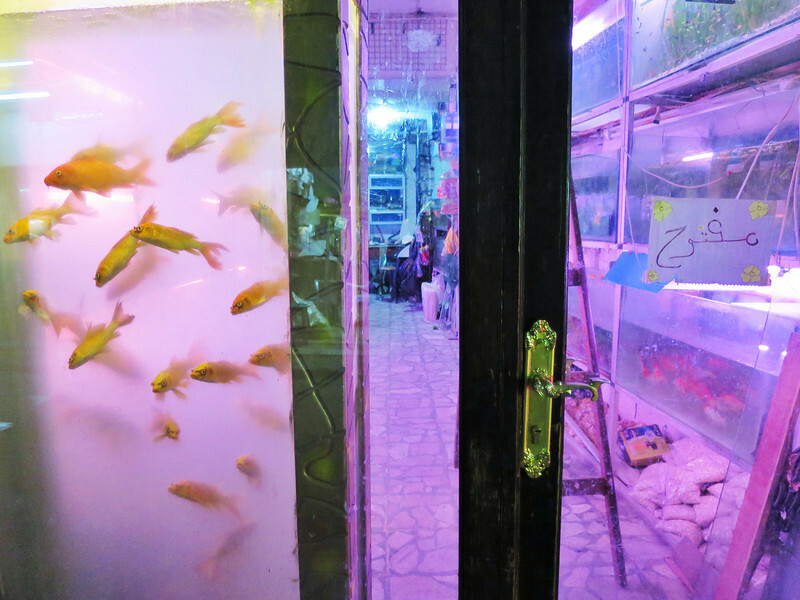 Just around the corner is an alley of wonders with print shops spitting out dozens of flyers, fins on old Fords and fins in fish tanks. To quench your late-night thirst, there are plenty of options, too: Spitfire and Sheikh Ali are favorites, but no trip to Alex is complete without a stop at a hotel bar in one of the city’s high-end hotels on the corniche, which wait for you with an air of grandeur, like beautiful old ladies sighing over the sparkling days of their youth. Should you desire your fish served up with sweeping views and cold Stellas, look no further than Alexandria’s Greek Club. For the full experience, hop on a microbus and ride down the corniche to get there (but make sure the one you get onto is heading to the Qelaa area and not veering off elsewhere…). Low lighting means the image isn’t the best, but don’t let that fool you – this ranks among the top five meals I’ve eaten in my life – the fish crisped to perfection and served up with potatoes and tomatoes and lemon juice and fresh sea air. It’s hard to think about eating fish any other way now. A walk down the corniche is the perfect dessert. When people ask my why Egyptian food is “so bad,” I often tell them to go eat some fish in Alex and get back to me. Alexandria is a difficult place these days, a once glamorized cosmopolitan capital now provincialized and polarized, a major site of both dissent and crackdowns. Eating fish by the sea offers a momentary escape, a brief and tangible reminder that some good things need not change. 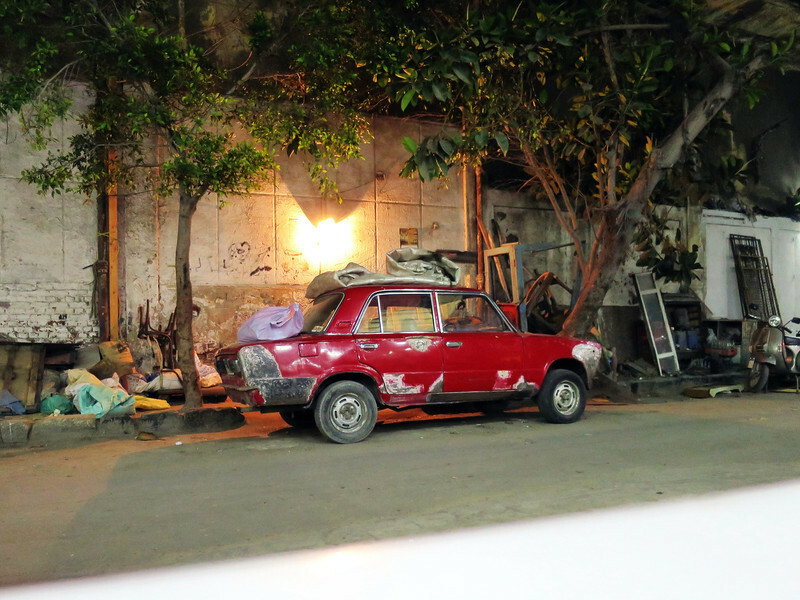 My favorite photo is the urban tableau outside Shaban!!! !